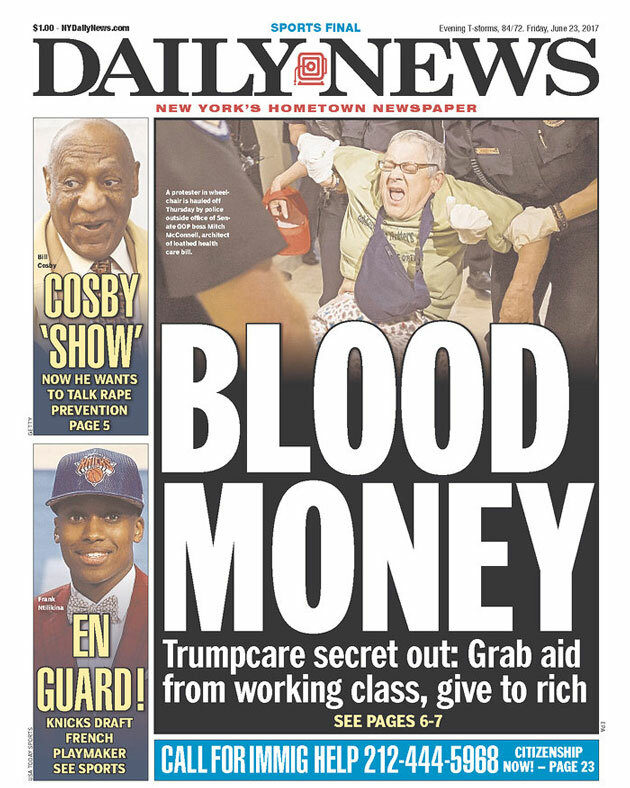 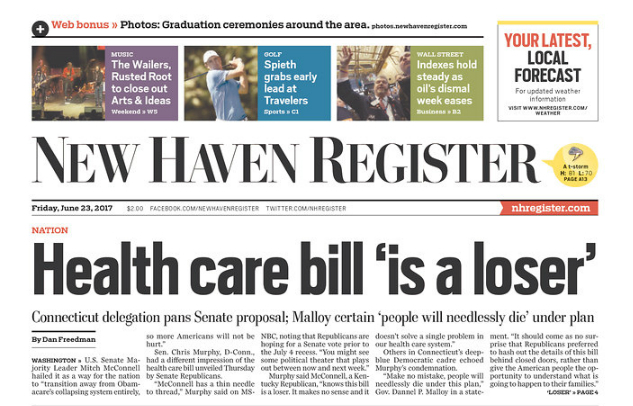 Newspapers are taking Republicans to task for trying to screw over poor people—again. 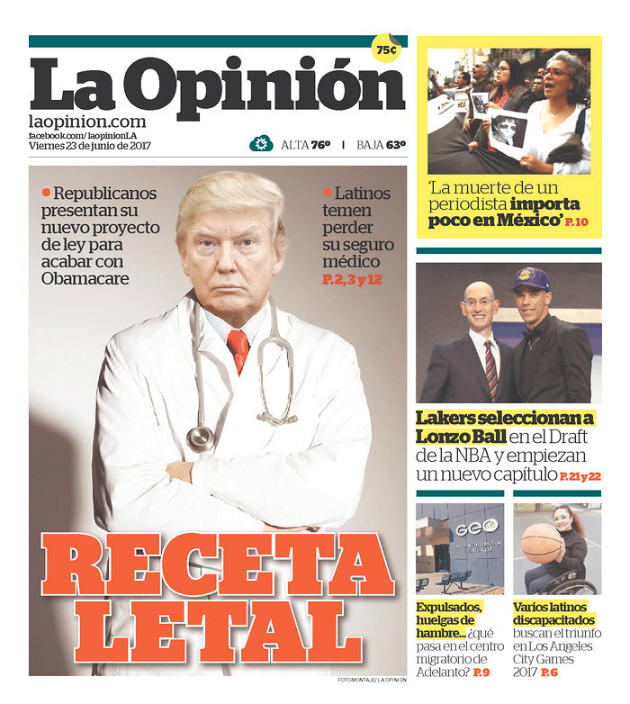 Millions of Americans woke up Friday morning to newspaper headlines decimating the latest Republican attempt to take down Obamacare. 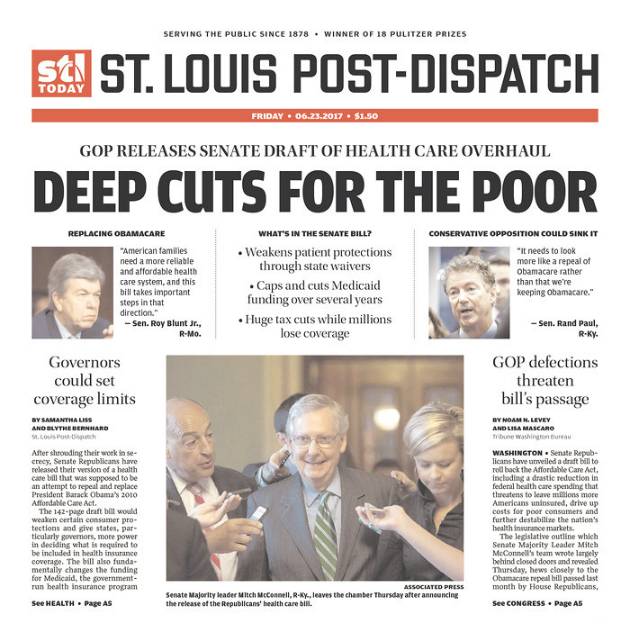 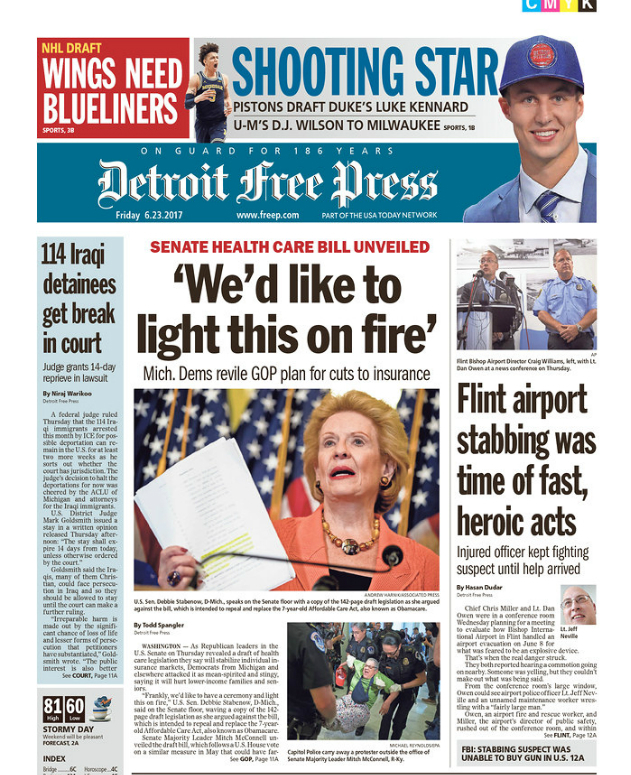 Check out some of the punchiest front-page headlines from around the country below.